Fear isn’t always a bad thing. Some fears hold us back in a positive way. For instance, if you are hiking and see a furry spider on the trail, when fear says, “don’t touch that,” it’s helpful (yes, this happened to me but fear didn’t say, “don’t touch that” fear said, “girl, run.” Same goes for venomous snakes and other potentially dangerous situations. But those aren’t typically the fears we are dealing with on a daily basis. These aren’t the fears that are holding us back from thriving in our own lives. Following are 3 fears that do hold us back. These fears trick us into thinking we are comfortable and safe – yet all of them ask us to compromise ourselves all day long until at some point, we don’t recognize ourselves anymore. Learn to let go of the ones that are in your way. Work on them one at a time with the steps listed below. We are struggling with the fear of missing out on activities, information, opportunities, connection, and many other things. We struggle to keep up, to catch up, to be included, noticed and loved, all in the name of FOMO. With FOMO, you may overcommit or be constantly checking email or social feeds. You want to be here for your life but also stay connected with everything else. The simple truth is that you can’t be everywhere. The remedy for FOMO is presence. When you are truly present, there is no regret about the past, or anxiety about the future. When you are present, you notice everything and everyone around you; the big picture, the little pictures, and all the tiny details that contribute to the moments which make up the here and now … which make up your life. And that’s just what happens on the outside. Your body, heart and soul change on the inside too when you give yourself permission to be fully alive and aware. That’s presence. It’s not easy. It takes practice and it’s the only remedy for FOMO. This is the fear that makes us say yes when we want to say no. It’s the fear that keeps us quiet when we disagree and it’s the fear that leaves us feeling depleted and resentful. People pleasers especially hate to disappoint others but the truth is that other people’s disappointment has very little to do with you. If someone’s expectations of you don’t align with your schedule, interest, or the expectations you have, they may be disappointed, but since you never set those expectations to begin with, the responsibility is not yours. Another important thing to note is that disappointment is survivable. The remedy for FODO is boundaries. One way to soften the blow and sometimes avoid disappointment all together is to be very clear about your boundaries. With that, you may be able to shift some (not all) expectations. 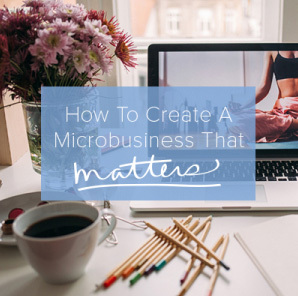 Businesses often have policies to let you know what to expect. People have boundaries. If a business has policies you disagree with, you may stop doing business with them. With people, it’s a little different. Often, boundaries are pushed, or not honored. But there is always one person who can honor your boundaries. It’s you. By doing that you remind others that your boundaries matter and you may inspire them to create their own. If you are afraid or unsure about trusting yourself, it will be almost impossible to remedy FOMO or FODO because staying present is hard, and creating and enforcing your own boundaries will be very challenging. I can speak to this because there were many years I didn’t know how to trust myself. I looked outward for answers and often second guessed myself. If you are running on auto-pilot, constantly reacting to life’s demands and everything thrown your way, you may have forgotten what’s best for you. I know I did. I forgot who I was, what I believed, and how to trust myself. I forgot what was best for me. I forgot my heart. Maybe you forgot yours too. This may be as simple as taking a deep breath (wherever you are) in through your nose and out through your mouth (like a really big sigh) to signify the start of your practice. Or, if you have a place in your home you could place a candle, journal, pen and blanket or other comfort items, do that. Sit quietly for 5 minutes. Put it on your calendar. Try the practice in silence, or with soothing music. After a few cleansing breaths in through the nose and out through the mouth (seriously let it all out), close your eyes or turn your gaze down and focus on your breath. Next, place one hand on your heart, and cover your hand with the other. Feel your heart beating. Feel the warmth of your heart and your hands. Now, while continuing to breath in and out with some intention, simply listen to your heart. For the first few weeks, just show up and listen to your heart. Then, start to ask questions or write down what you hear. By showing up for this practice on a consistent basis you’ll begin to remember yourself and what matters to you. You’ll learn to trust yourself. Let go of these fears so you can show all the way up for your life. These fears aren’t protecting you. They are dragging you down and holding you back. Letting go of these three fears will take time and practice. Start by noticing the fears as they come up. Respond to the fear of missing out with presence. Respond to the fear of disappointing others by creating boundaries and respond to the fear of trusting yourself by putting your hands on your heart. P.S. 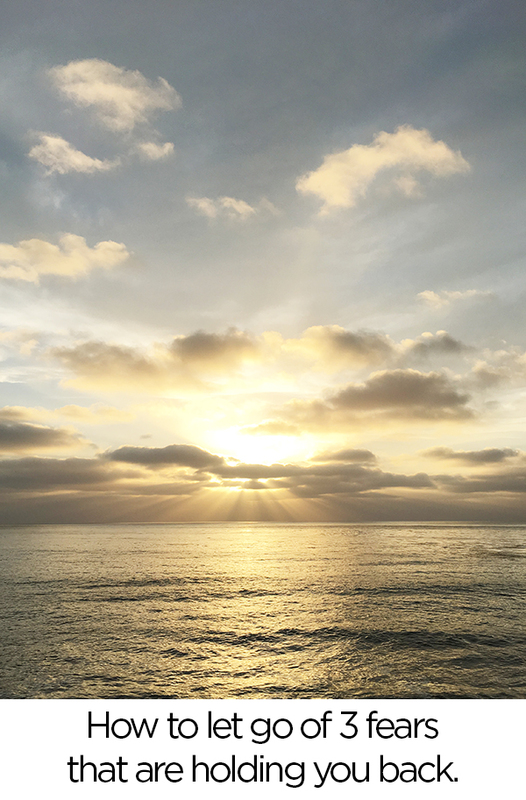 If you are interested dive deeper into this heart practice and in creating your own soulful simplicity read Soulful Simplicity, how living with less can lead to so much more. Thanks for reading today and inviting me into your inbox. 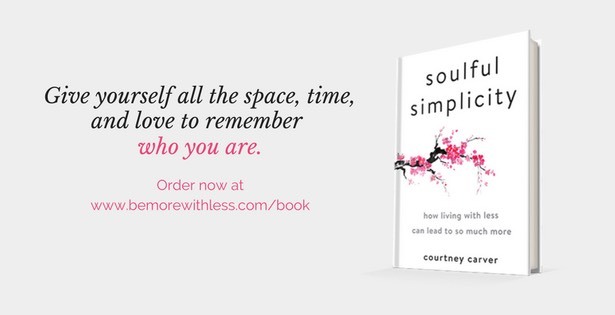 I’m Courtney Carver, author of Soulful Simplicity. 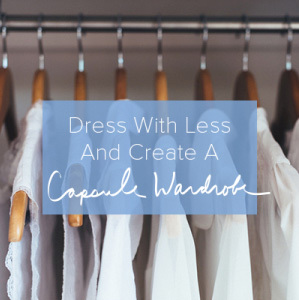 In 2010, I created top simplicity blog, Be More with Less and minimalist fashion challenge Project 333 (featured in O, The Oprah magazine, Real Simple, CNN, BBC, and other media). Thank you so much for this post. I appreciate that you’ve identified that fears may not always be a negative, but that these specific three fears can hold us back. I know my biggest fear is FODO. I’ve been a people pleaser my whole life and am really trying to break out of it. I’ve found that having a clear understanding of my values and what I want my life to look like have helped me set boundaries. Before, when I wasn’t sure where I wanted my life to go, it was hard to set boundaries because I didn’t have an aim or a plan. Now that I do, I still struggle with FODO, but it’s getting so much better. Thanks again for this post! I really needed this post. I’d like to believe I recently conquered my FOMO. I would always say yes to invites just because I hated when these groups of people discussed how these events were and how fun they had. But, the reality was I never had fun, so why was I saying yes? I also realized I need to quit accepting invitations simply because I do not want to disappoint others. I really like the suggestion about boundaries. I need to respect myself to say no to people. Thank you. I think my biggest issue is the fear of trusting myself. I’m currently working on building confidence, and I think getting over this fear is a big part of it. thank you for this inspiring post on FODO. I never thought about this behaviour or exaggerated politeness as a fear before. For FOMO I found some Little tricks: I only check e-mails twice a day- in the morning and the evening. I watch the News at 7 p.m. together with my husband and try to ignore them for the rest of the day. And the best Thing is: I never owned a Smartphone up to now.